Thomas Wesley McLean; "Blue Hills"
Thomas Wesley McLean (1881-1951) was born in Kendal, Ontario, about 30 kilometers northwest of Port Hope. At the age of fifteen he started working for Grip. Grip was a Toronto design firm that was home to many of Canada's finest painters and designers during the first half of the twentieth century. At Grip, he worked alongside Tom Thomson, Arthur Lismer, Frank Carmichael, Frank Johnston, J.E.H. MacDonald and F.H. Varley. In his early twenties, McLean began exploring northern Ontario during the summers. During one of these summers McLean discovered Algonquin Park and brought back stories and sketches of his experiences there to his fellow workers, including Tom Thomson, at Grip. After McLean piqued his interest in the area, Thomson visited Algonquin Park with various other artists and work colleagues. Out of these visits, came the formation of the Canadian Algonquin School and later the Group of Seven. 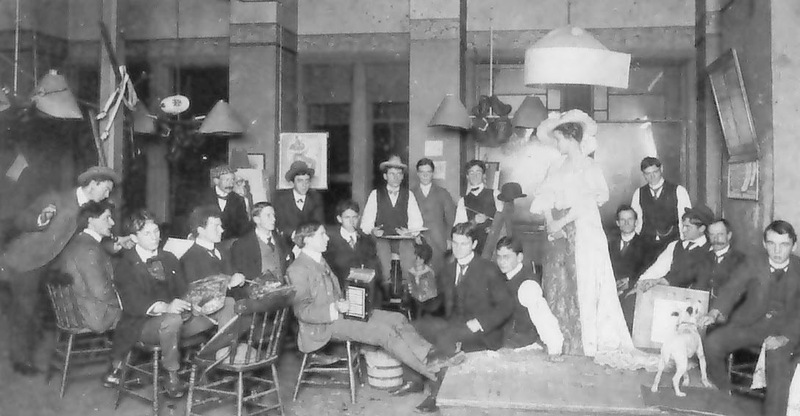 In 1912, McLean moved to Winnipeg to teach, and in 1925 he became a founding member of the Manitoba Society of Artists. He also became a member of the Canadian Society of Painters in Water Colour in 1925. Two years later, in 1927, he moved back to Ontario. In May of 1932 an exhibition of his work was held at the Robert Simpson Galleries in Toronto. During the thirties, he also exhibited his work with the Royal Canadian Academy and the Ontario Society of Artists. McLean died in Toronto in 1951 at the age of 71. The Curtis Jere design house was founded in California in 1963 and produced sculptural works ranging from the representational to the highly abstract. Works produced by the company have become highly praised and sought after today. Writer Mitchell Owens wrote a two page article on the history of C. Jere for the November 2010 issue of Elle Decor. In it he remarks that "Today those pieces are attracting the admiration of leading dealers in vintage chic". He goes on to note that after launching in 1963, Jere sculptures were distributed by Raymor, a cutting edge studio in New York City, and retailed at Gump's in San Francisco and other high end retailers in several major cities across the U.S.
Toni Hamel; "The House of Sighs"
We are anxiously awaiting your arrival. Congratulations to Toni Hamel whose work "The Landscaper", from her "Opus" series, has been chosen for the Aird 2014 Drawing Exhibition. The annual juried exhibition is the most prestigious of it's kind in Canada. Each year the show has a different tone. "No single theme or trait is ever dominant throughout because the exhibition celebrates the diversity and potency of drawing, showcasing a range of processes, styles, materials and conceptual approaches." The judges, which include Ed Pien this year, look for works that negotiate the boundaries of what constitutes drawing and choose works they hope will further discussion and enjoyment of this vital and engaging artistic practice. 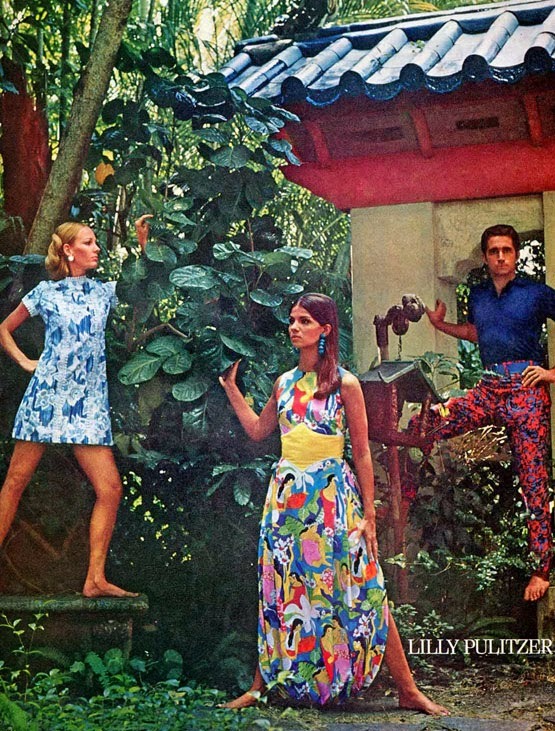 I came across this 1968 Lilly Pulitzer ad on New York Social Diary today. I thought it might be just the thing to brighten spirits as the mercury hovers around minus 20! If you haven't checked out the site, it is a lot of fun. Click on the link above to view.